Riverchase Dermatology and Cosmetic Surgery is pleased to announce the addition of Julie H. Gallo, MMS, PA-C to its team of expert providers. Gallo is a Board Certified Physician Assistant who will begin treating patients at the Fort Myers and Cape Coral Riverchase locations on November 25th. Julie Gallo has a comprehensive background in general and cosmetic dermatology, which includes experience in dermatological surgery. Gallo graduated with a Bachelor of Arts degree in Biology from Lake Forest College in Illinois. She then went on to attend Nova Southeastern University, earning a Bachelor of Science degree in Physician Assistant Studies and a Master of Medical Science degree. 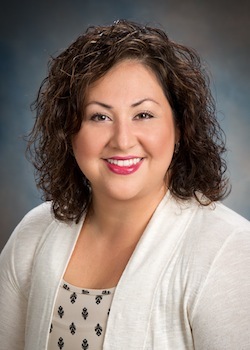 “I am glad to be joining the team at Riverchase Dermatology and Cosmetic Surgery. I look forward to working with some of the best providers in Southwest Florida and using my education and experience to help patients achieve optimal results,” says Julie Gallo, MMS, PA-C.
Julie H. Gallo has extensive training and experience in skin tightening, skin resurfacing, cosmetic injectables, and removing pigmented and vascular lesions. She has also become a skilled expert in diagnosing skin cancer with extensive experience in performing skin cancer screenings, biopsies, excisions, laser treatments, and cryosurgery. Gallo enjoys working with patients to help them experience ideal cosmetic results by achieving a natural yet enhanced appearance.